Natural News is a Facebook hit: Never click on its stories about cancer, vaccines, conspiracies. Pseudo science is rampant on Facebook and this Slate article peers into Natural News, which has become a popular source of Facebook posts. The Slate piece reviews some of the ways the media outlet distorts and mis reports scientific findings. This video reports on results from the DARPA “SSIM” program. Geoffrey Raymond (UCSB) and Nikki Jones (UCB) examined the social interactions between police officers and citizens in public. Specifically they looked at the role of acknowledging or suppressing citizen’s interests, goals, projects, etc. during a police-citizen encounter. What Raymond and Jones found was that when police acknowledge, rather than suppress citizen goals (even if they don’t go along with the citizen’s goals), then the likelihood of citizen non-compliance, hostility, or violence decreases. Empathy is important in forming and sustaining social relationships. Yet, as Paul Bloom explains, for all the concern about “empathy gaps”, empathy does not help us solve all of our more dilemmas. The NRA’s Wayne LePierrer made numerous empirically questionable statements. One of them is that media (television, music, film, and video game) violence is in part to blame for mass shootings. I briefly want to address the empirical evidence for the role of media violence on violent behavior because on the right and left alike, and among gun control opponents and advocates, there seems to be a taken for granted notion that media violence and violent behavior are linked. As of 2012, the research on violent media and violent behavior has not shown a consistent effect of violent media on violent behavior (Ferguson, Rueda, Cruz, Ferguson, Fritz, and Smith 2009; Valdez and Ferguson 2012; Trend 2007). When effects have been shown, they are typically in the 1-4% range of explaining variance in violent behavior (e.g. Anderson and Bushman 2001) and meta-analysis generally bring the positive and negative effects down to statistically insignificant levels or simply 0%. Interacting factors such as exposure to family violence, street violence, and violence in schools (i.e. living in a world of danger and everyday violence) on the one hand and dispositional factors such as being male, genetic predisposition, less lead in the water (Nevin 2000), and even diet (e.g. Sanchez-Jankowski 1991) better predicts and explains violence than media (Paulle 2005; Ferguson 2007; Ferguson et al 2009; Pinker 2002). There may be a role for media effects in how those that are likely to engage in violent behavior “stylize” their violence. For example, in gang violence, media may not cause gun violence but it may be relevant to the peculiar fascination that some gang members have had with shooting their guns sideways (not only a stylistic effect but one that greatly decreases their accuracy). The other significant problem is that youth violence has declined steadily (van Dijk, van Kersteren, and Smith 2007) even as there has been a proliferation of violent media. I recently read Michael Sandel’s “What Money Can’t Buy.” This book makes an appeal to readers that the be wary of the spread of markets to areas of our lives not traditionally placed in the realm of commodity exchange. Sandel uses over one hundred examples to give readers a sense of disquiet. There are markets for surrogate mothers. Are we okay with this? What about the selling of children by parents who do not want them to parents who are looking for a child? In a favorite example of mine, a police department in North Carolina debated putting NASCAR-like ads on their patrol cars in order to generate revenue to keep up their fleet of patrol cars. While it is certainly the case that departments are strapped for cash, their are moral reasons why this may not be a good idea. Let me qualify, I mean their are descriptively normal reasons why people may be uncomfortable with adds on police cars. Police are expected to render services impartially and with only just fairness in mind. To sell a patrol car as signage to the highest bidder will seem demeaning to a position of office that is generally held as elevated and motivated by high principles. Likely, ads on patrol cars will be taken as a moral injury. After all the job of the police is to separate and purify, an organization that functions as a kind of collective negative rite, and to be able to purchase the work, car surface, or body of patrol is likely to be seen as debasing. For these reasons, I contend, I suspect people will have a moral problem with ads on patrol cars. Now, not discussed in Sandel’s book, but brought up recently in discussion group with other social scientists, is what it means to by human connection in clinical therapy. Therapy is often a place where intense human bonds are cultivated specifically to increase the wellness of clients and patients. Should we be paying for this human bond and how? In my recent discussion with social scientists who also have experience in therapy, I noted a large amount of discomfort with putting a price on human ties and bonds that often feel as real, meaningful, and authentic as the bond between friends. In other words, the kind of relationship established in therapy is intense, intimate, and personal. Money, on the other hand, is impersonal, universal, and leveling of qualitative difference in favor of quantities, namely price. Intimate exchange and commodity exchanges seem at odds with one anthers, hence the discomfort with the bringing together of money and the interpersonal intimacy of therapeutic confession. Nonetheless, therapy is done as part of a business (therapists need to make money to eat!). But the industrial model of therapy is also changing and becoming more commodified and driven by a market logic. A recent article in the New York Times, “What Brand is Your Therapist” by Lori Gottleib, raises the specter that commodificaiton of therapy has continue and is potentially becoming corrosive to the very tenets of therapy. For example, a good therapist doesn’t talk about themselves. This is long been held to be a central pillar of good therapeutic practice. Yet this may be changing for market reasons. Traditionally, therapists could rely on networks of interpersonal and professional ties between therapists, doctors, psychiatrists, mental health clinics, and insurance company panels, to provide a steady client or patient base. These are what we think of as “referral networks.” But as insurance companies draw back on funding talk therapy and government health subsidies are reduced, referal networks are no longer as viable. In fact, competition for fewer and fewer clients has taken over. In this context, Gottlieb describes the need to market, sell, and brand herself to gain clients. Many people admit that a sense of connection is more important in choosing a therapist than the clinician’s reputation or training. One woman told me that she chose her therapist because “she looked relaxed” in the photos on her Web site, “and I didn’t want anybody too intense, because I’m really high-strung.” A man explained that he found his therapist via referral, but “the Web site sealed the deal, because I discovered that her father was a Holocaust survivor, and I knew that was territory I needed to visit.” Another woman chose her therapist because her blog revealed that she had successfully overcome “food issues” in college, something this client was struggling with. Here commodification can be seen to have a corrupting potential. It is not necessarily the case that therapy has to respond to market pressures by playing the market game, but it is unlikely that a specifically therapeutic style of market can be established without some kind of professional consensus or regulation of how business can be ethically drummed up. For the therapist, I imagine this all feels very alienating. After all most therapists go into their line of work not to make money but to help others. But I think it is also likely a source of dissonance for clients as well. I recently heard one person report of their talk with a therapist, “I feel uncomfortable paying you when talking to you is like talking to a good friend.” The therapist replied, “Well don’t think of it like you are paying me for friendship or connection. Think of it as you are paying me for my expertise and interpretation. Does that work for you.” Not surprisingly the client said, “No!” What alienates therapists from their work is that they have to make a living and the monetization and marketization of the profession means that more and more, just to stay out of poverty, they have to engage in branding, building websites, and life-coaching, simply to make ends meet. This is in spite of the fact that they know that what they are doing may not be best therapeutic practice. But of course, money can buy many things that we normally think of as being without a price. Money is as Marx put it, the “radical leveler.” Simmel wrote of money that “With its colorlessness and indifference… [money] hollows out the core of things… their specific value, and their incomparability.” Money is meant for exchange. It is not like a chair that has useful value even when it is not being exchanged or traded. Money can bring different uses together for exchange, and this, in part, is what problem of commodification of a field like therapy: it brings together opposing values (what the consumer wants and what is best practice) and makes them equivalent in the setting of prices. “First of all, let me tell you this…it’s not easy. 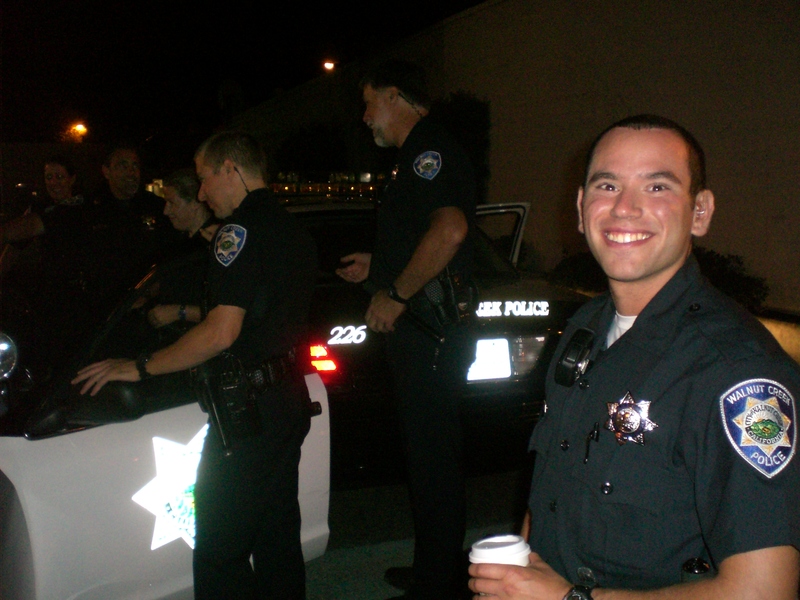 In Chula Vista, we average one cop for every 600 people. Only about 60% of those cops are on general duty (or what you might refer to as “patrol”) where we do most of our harassing. The rest are in non-harassing departments that do not allow them contact with the day to day innocents. And at any given moment, only one-fifth of the 60% patrollers are on duty and available for harassing people while the rest are off duty. So roughly, one cop is responsible for harassing about 5,000 residents. PHONE: People will call us up and point out things that cause us to focus on a person for special harassment. “My neighbor is beating his wife” is a code phrase used often. This means we’ll come out and give somebody some special harassment. CARS: We have special cops assigned to harass people who drive. They like to harass the drivers of fast cars, cars with no insurance or no driver’s licenses and the like. Its lots of fun when you pick them out of traffic for nothing more obvious than running a red light. Sometimes you get to really heap the harassment on when you find they have drugs in the car, they are drunk, or have an outstanding warrant on file. STATUTES: When we don’t have PHONES or CARS and have nothing better to do, there are actually books that give us ideas for reasons to harass folks. They are called “Statutes”; Criminal Codes, Motor Vehicle Codes, etc… They all spell out all sorts of things for which you can really mess with people. After you read the statute, you can just drive around for awhile until you find someone violating one of these listed offenses and harass them. Just last week I saw a guy trying to steal a car. Well, there’s this book we have that says that’s not allowed. That meant I got permission to harass this guy. We seem to have a never-ending supply of folks to harass. And we get away with it. Why? Because for the good citizens who pay the tab, we try to keep the streets safe for them, and they pay us to “harass” some people. Sociologist, Nancy Berns, has written sociological analysis of the concept of “closure.” She was interviewed in the Boston Globe regarding her work (“The myth of closure – The Boston Globe.) where she discusses how “closure” as a form of accounting for grief or catastrophe can come to impact people’s lives in ways that are not always positive. Berns argues that grief is a concept, used in talk, so that people can tell stories and make narrative sense of grief. But the current use of closure, she argues, has little to do with the way Gestalt psychologists originally used the term. Berns writes “Although there are numerous definitions and interpretations of closure that i will attempt to untangle in this book, closure usually relates to some type of ending. Closure typically implies that something is finished, ended, closed. Finally you can move on.” This is not what Max Wertheimer, an early Gestalt psychologist in the 1920s meant. 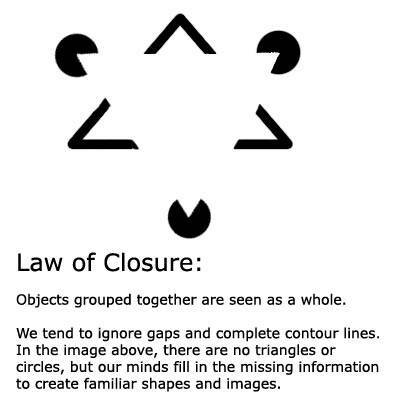 For early Gestaltists, studying perception, “closure” referred to how discrete elements are as wholes. For example, the term was used to discuss how “gaps” in perception and sensory stimuli were “filled in” by the brain (e.g. the optic nerve creates a blind spot in the eyes field of vision. Yet the brain works so that we still experience the visual field as intact and continuous). Sociologically and psychologically speaking, the kinds of things that “closure” is supposed to remedy or as an end state to be achieved by grievers, has little reality. Grief or trauma has no clear ends, nor is, for example, grief a bad thing or something that can’t be integrated, in a healthy way, into one’s life. In part that is why, she explains, that those who study bereavement don’t use the concept in the way that popular culture has appropriated it —as the correct response to grief and trauma that people should strive for. In other words, “closure” has become a “need” to be met, often by a variety of emotional peddlers selling the wares of grief counseling, self help, funeral home services, psychics, private investigators, and attorneys. It is also a powerful rhetorical political tool, according to Burns, that politicians use to organize and mobilize voters, e.g. in the war on terror. This notion of closure, and its concomitant emotional services industry, become predominant in the 1990s in conjunction with the victims rights movement, court decisions, and a rise in the dominance of therapeutic goals and discourses as part of popular culture. The Truth Behind Stop-and-Frisk – NYTimes.com. Some new case may be in the making regarding search and frisk.